In addition to parallel connection, three units of the same model can be configured for three-phase output. 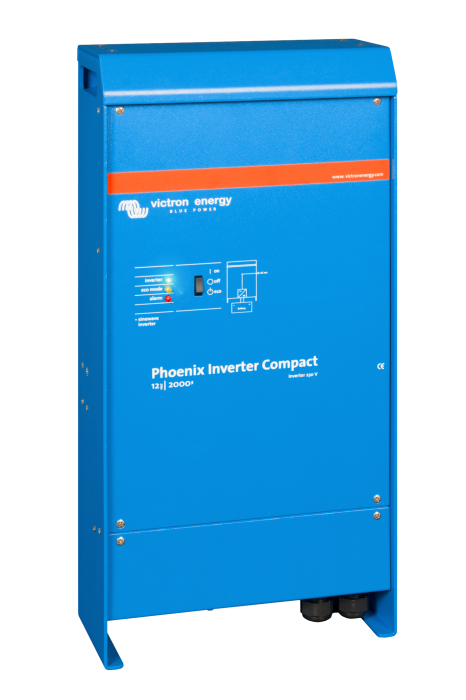 But thats not all: up to 6 sets of three units can be parallel connected for a huge 75 kW / 90 kVA inverter and more than 2000 Amps charging capacity. The main output provides a powerful charge to the battery system by means of advanced adaptive charge software. The software fine-tunes the three stage automatic process to suit the condition of the battery, and adds a fourth stage for long periods of float charging. In addition to this, the MultiPlus will charge a second battery using an independent trickle charge output intended for a main engine or generator starter battery (trickle charge output available on 12V and 24V models only).